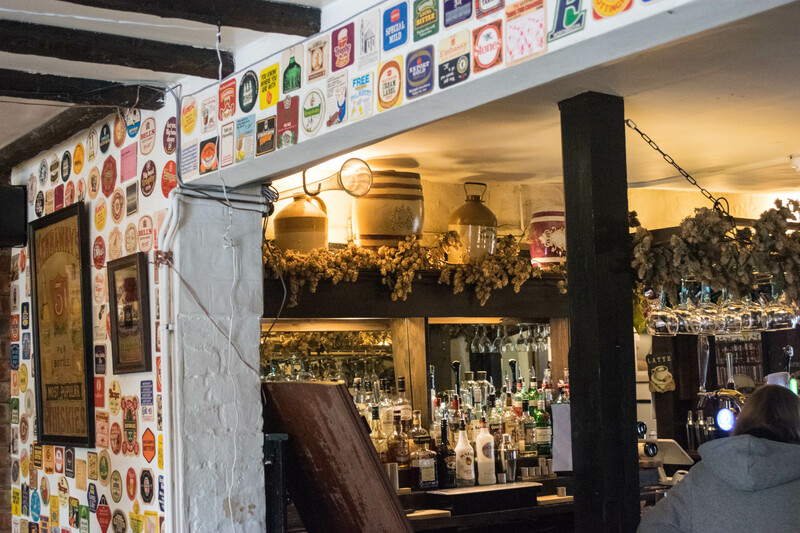 Sunday Roast at The Vine, Hambledon - Kat Got Your Tongue? 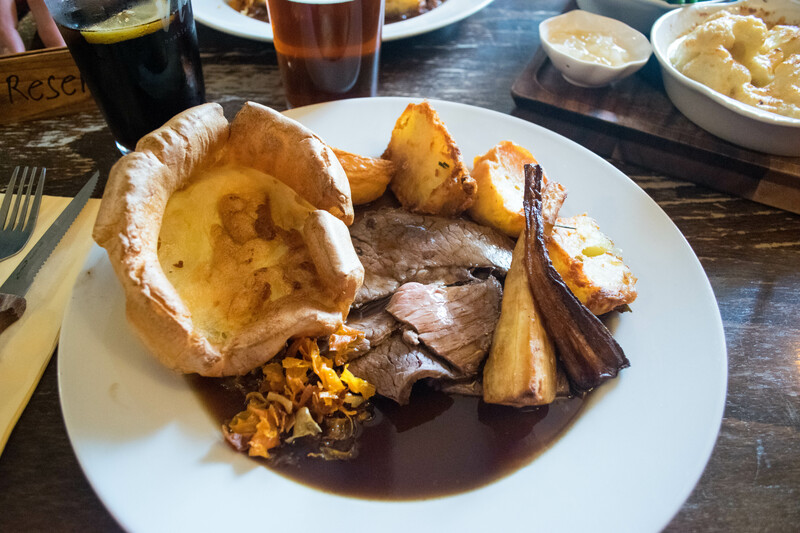 The Sunday Roast – an important tradition in every English household, but I have always found it challenging to find the perfect roast when dining out. 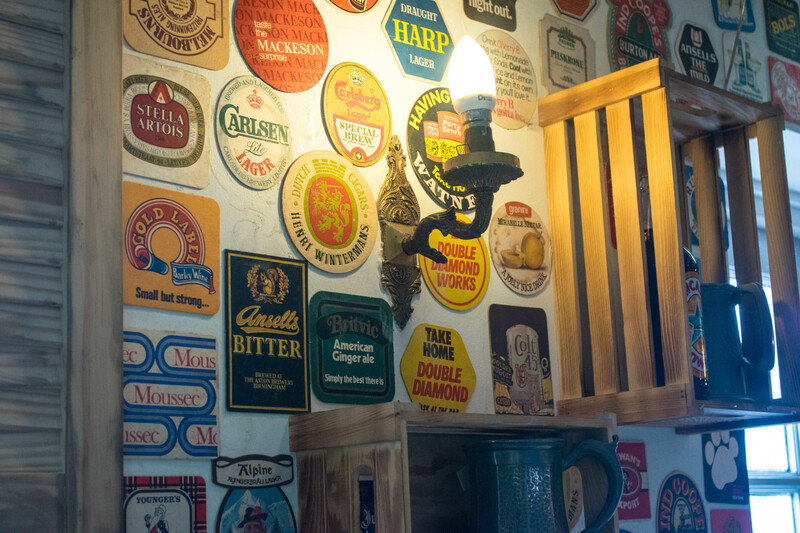 Now, I don’t want you to get too excited… but I think I’ve found it. 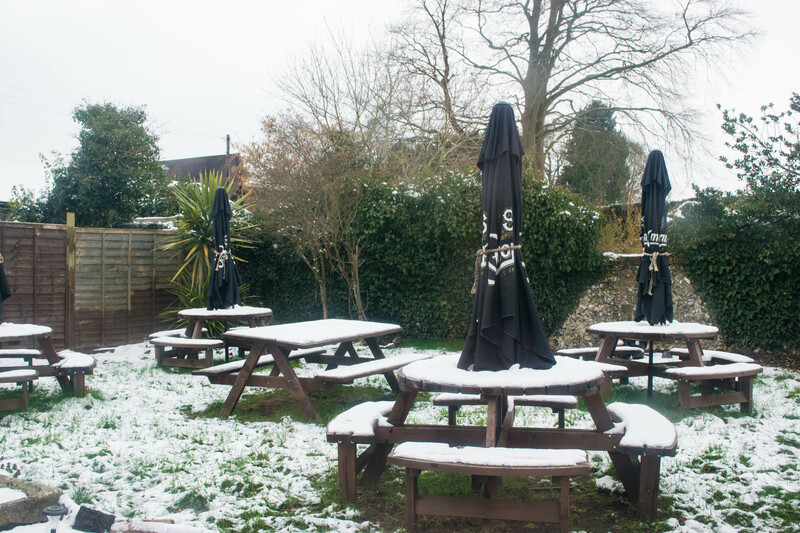 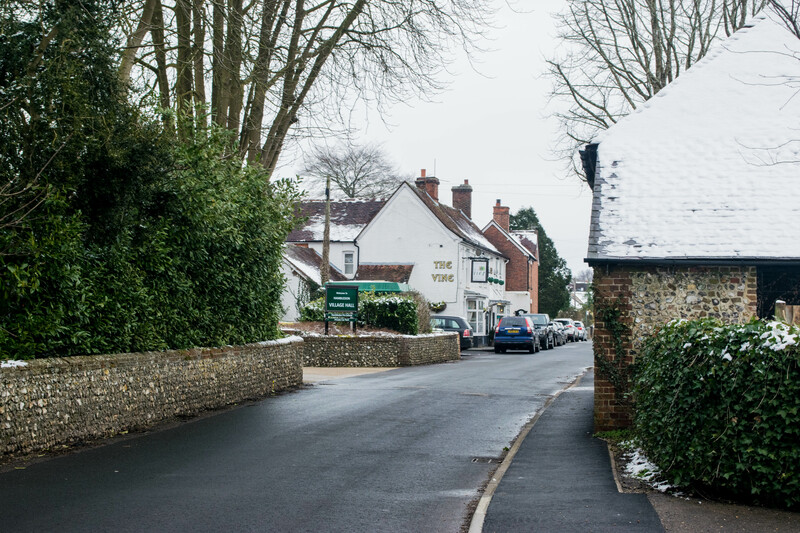 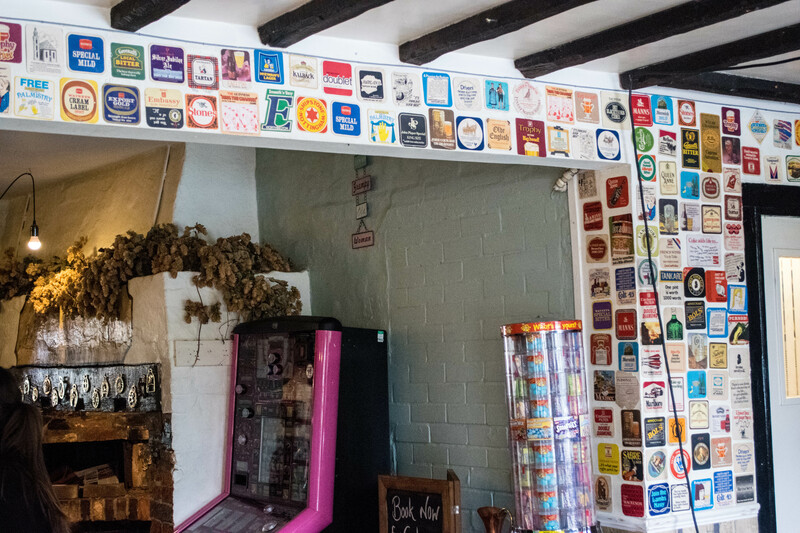 A quaint village in the Hampshire countryside is home to the perfect cosy pub. 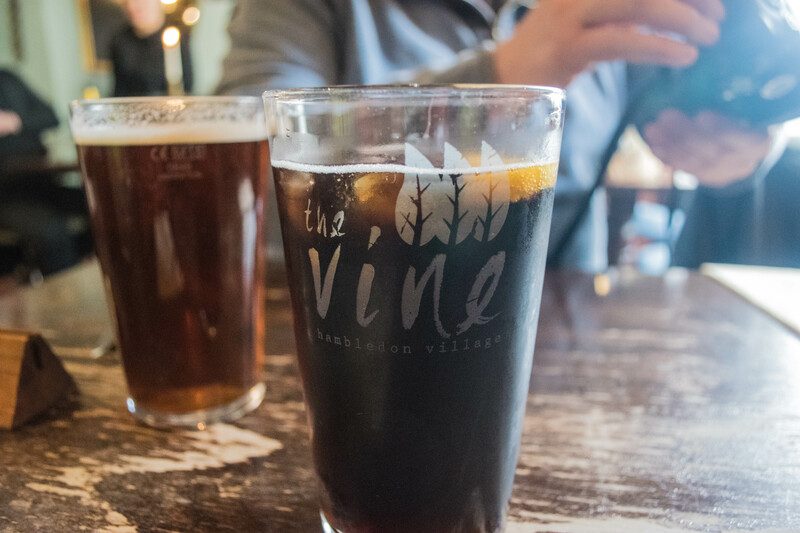 The Vine, Hambledon. 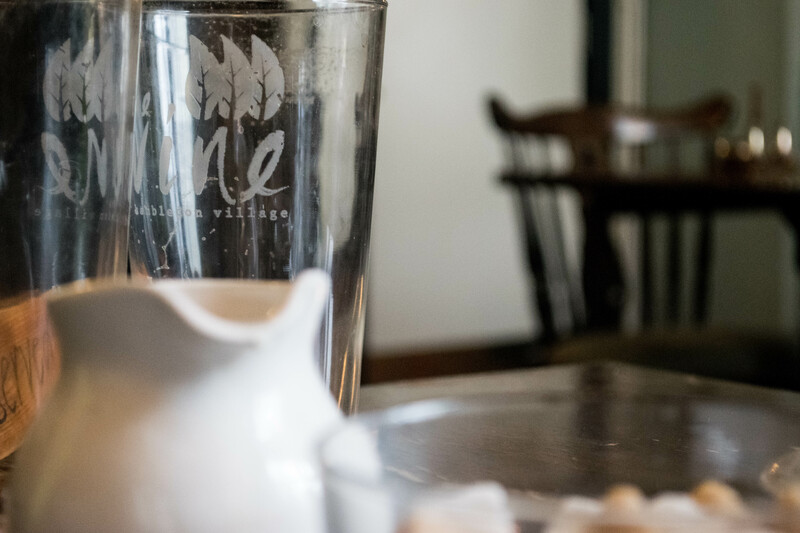 I’ve been visiting The Vine regularly for nearly two years – with many a Sunday lunch consumed – and I’m confident that it’s the best roast I’ve ever tasted! 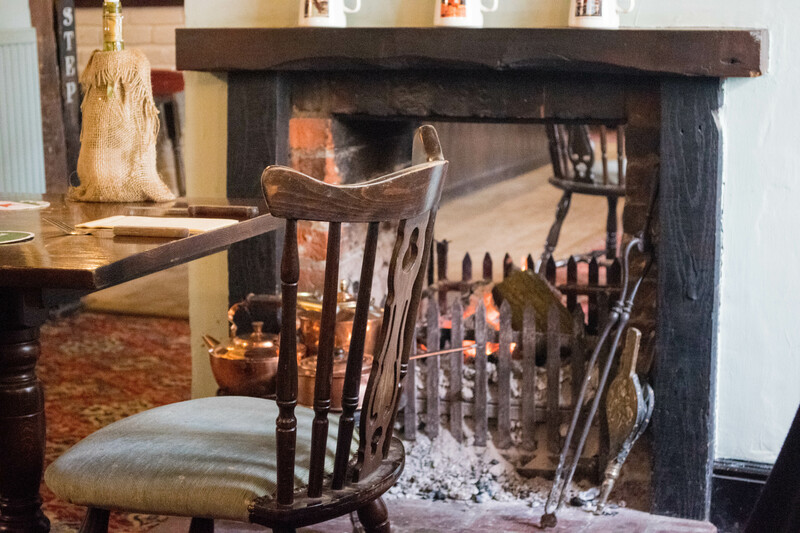 Inside you’ll find classic country pub decor – exposed beams, old wooden tables, candles shoved in wine bottles, a cosy fireplace. 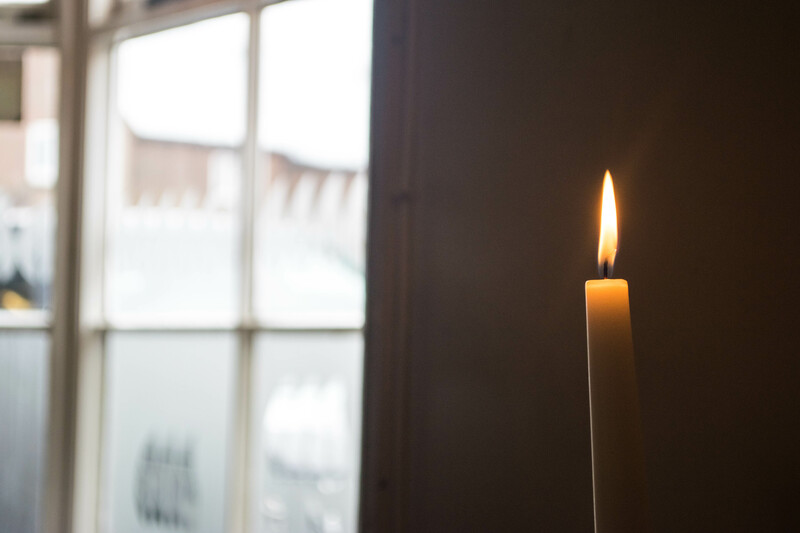 All of which create a great atmosphere for Sunday with family! 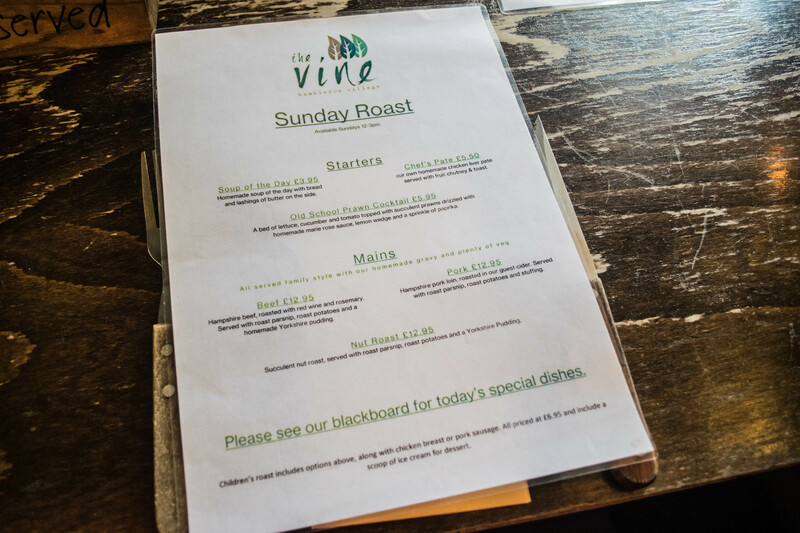 I’d say that The Vine is great value for money – the roasts are £12.95 each, and they are huge portions of delicious food. 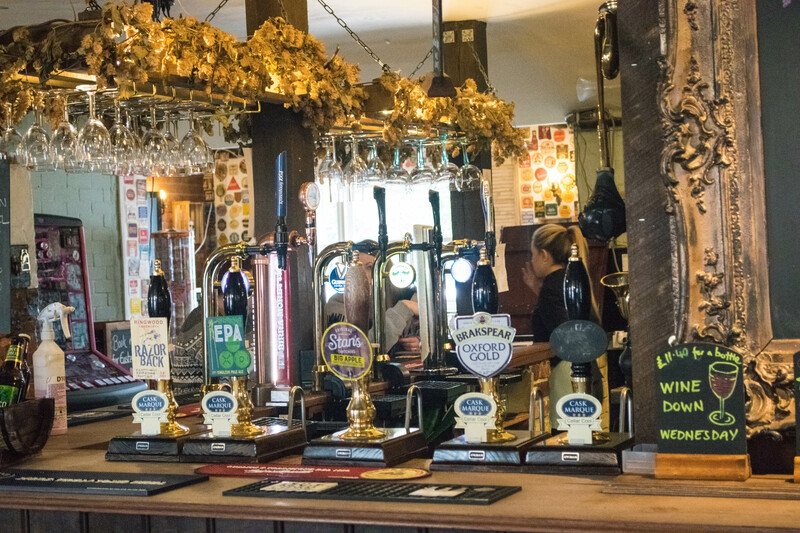 Their drink offerings are the normal pub choices, but they have a fantastic selection of beers on tap (not my cup of tea, but good for the men!). 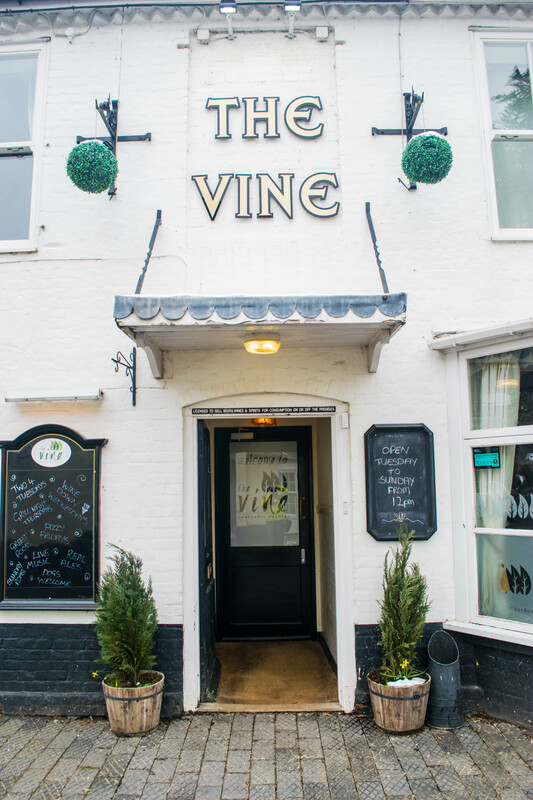 If you end up going to The Vine, I can vouch for how good the chicken and beef are – simply amazing! 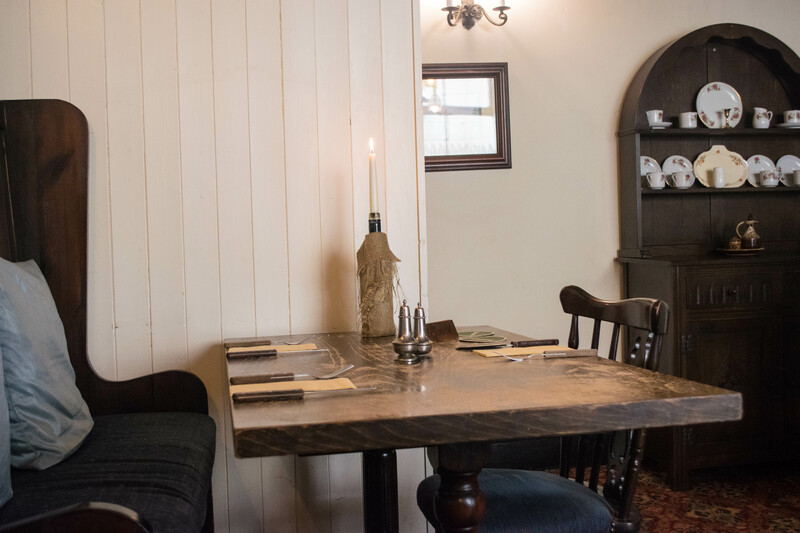 Tom is a huge fan of the lamb shank and the pork. 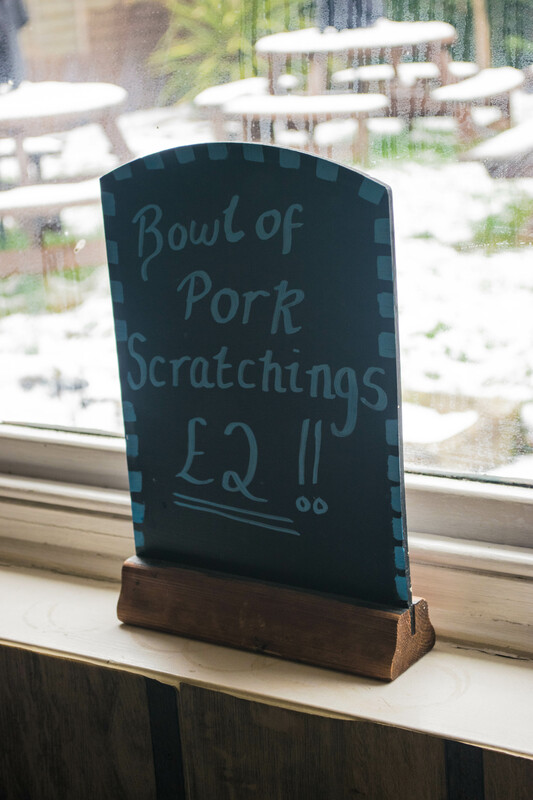 This is the pork – the trimmings vary each time you visit, but their potatoes are consistently the best I’ve ever had, and the crackling is pretty good too! 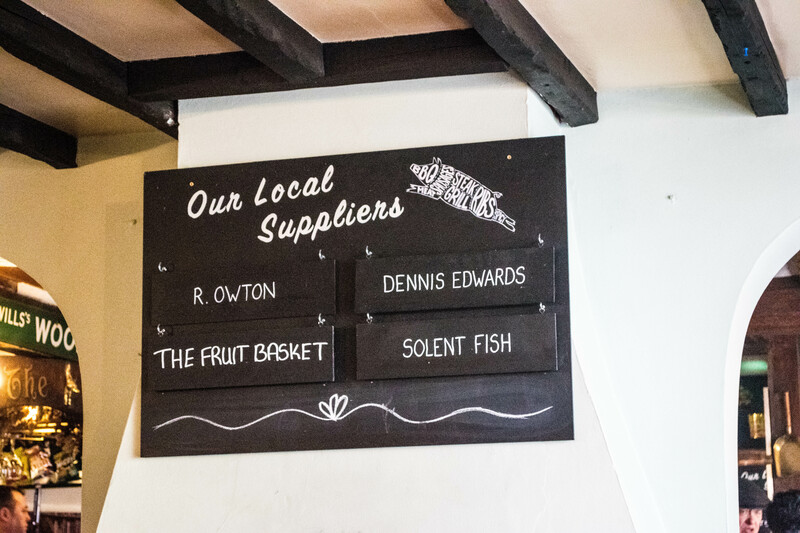 I chose the beef this time round – succulent and swimming in gravy, it’s very tasty indeed. 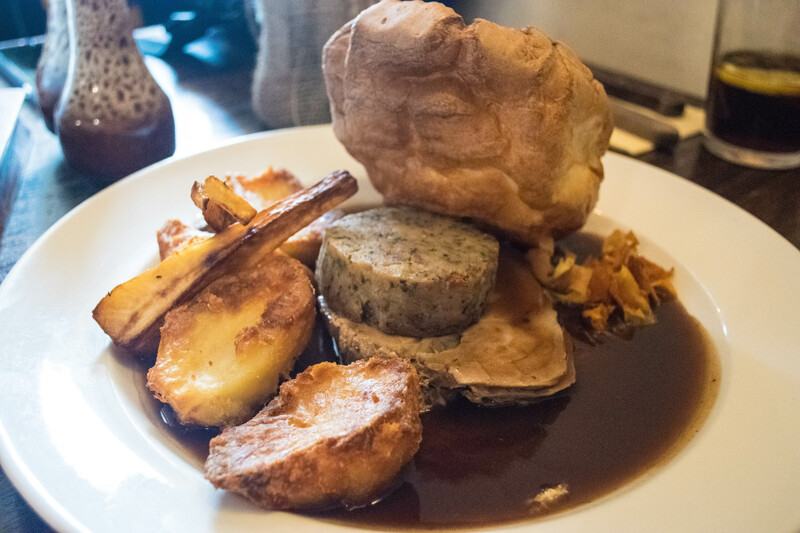 As if they aren’t big enough already, the roasts come with a selection of sides to share. 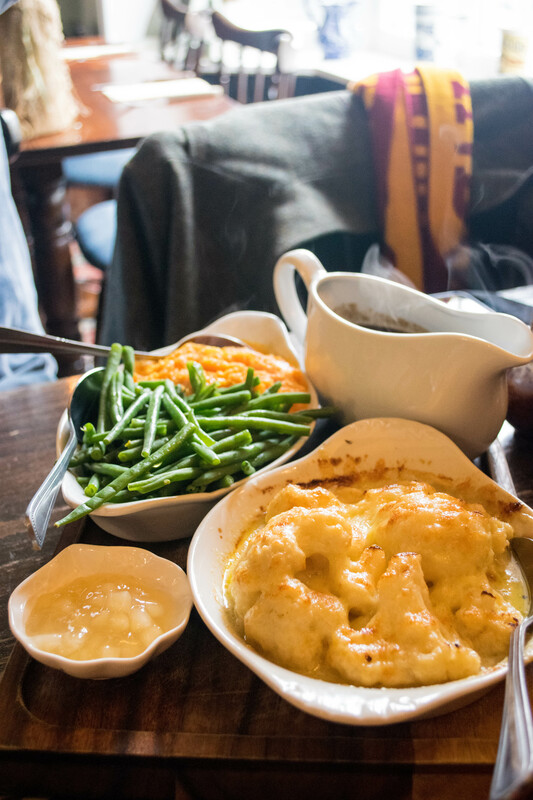 The cauliflower cheese is unbelievable, as is the swede and carrot mash – seriously tasty vegetables! 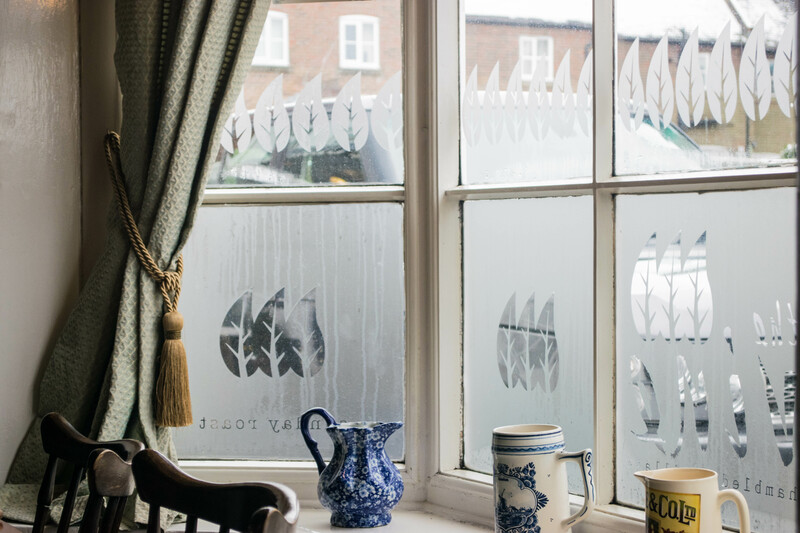 I’m partial to a post-lunch coffee, and The Vine does a pretty spiffing cappuccino. 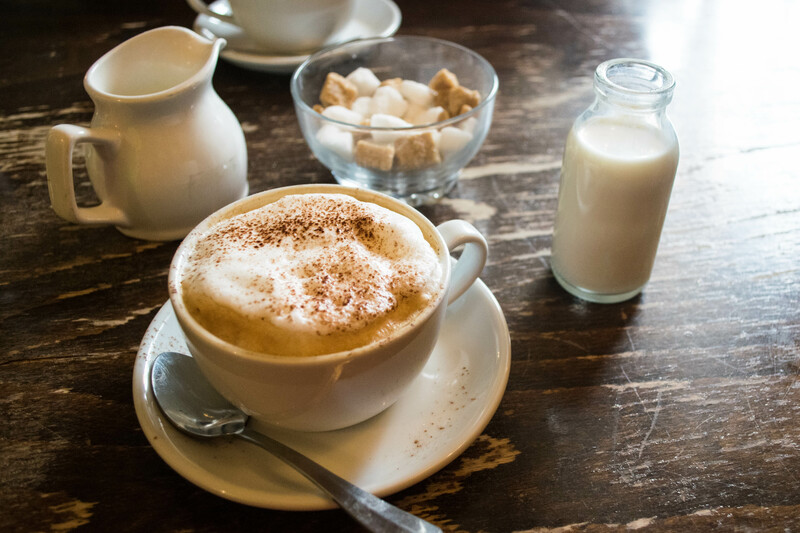 Plus, how cute are the mini milk bottles! 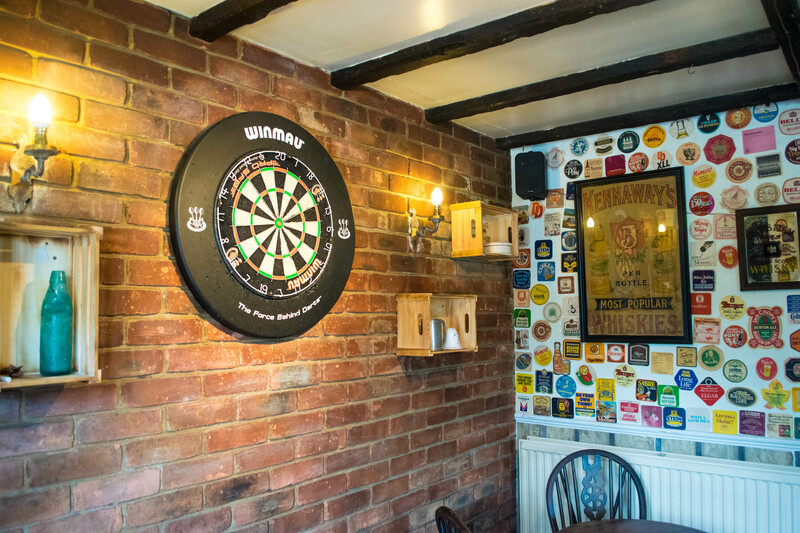 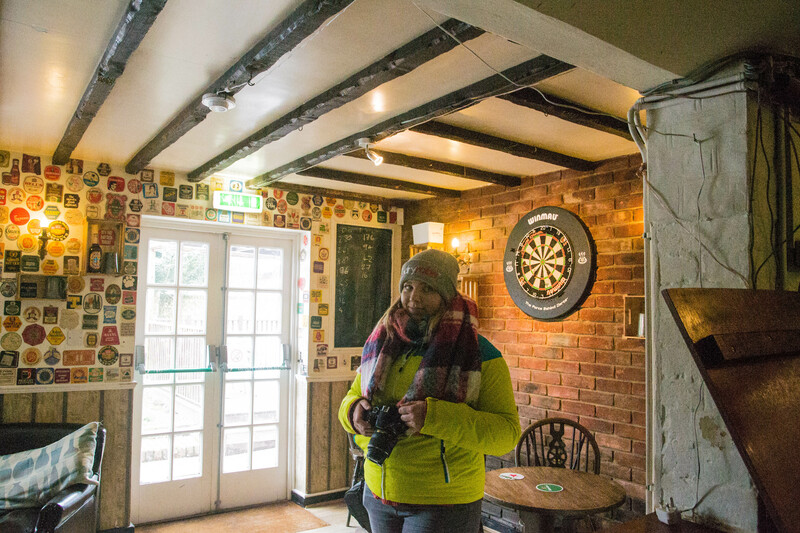 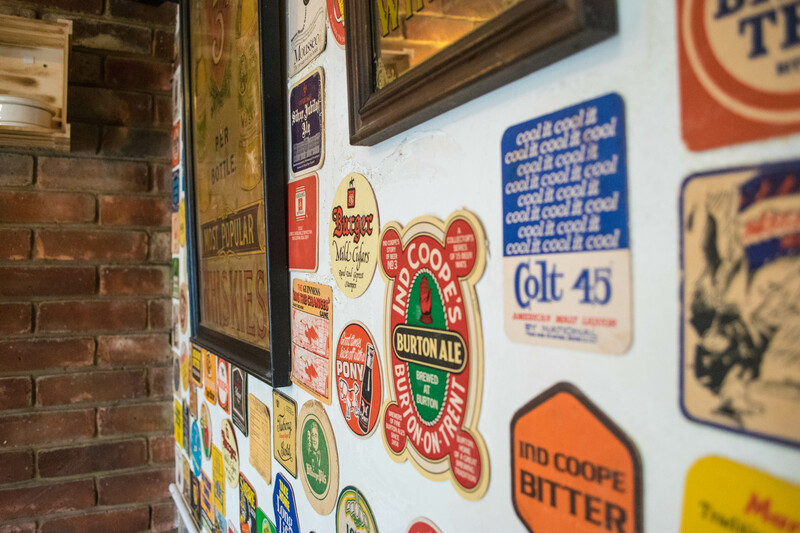 The Vine also has a dart board – which is great if you aren’t quite ready to venture back out into the cold after lunch! 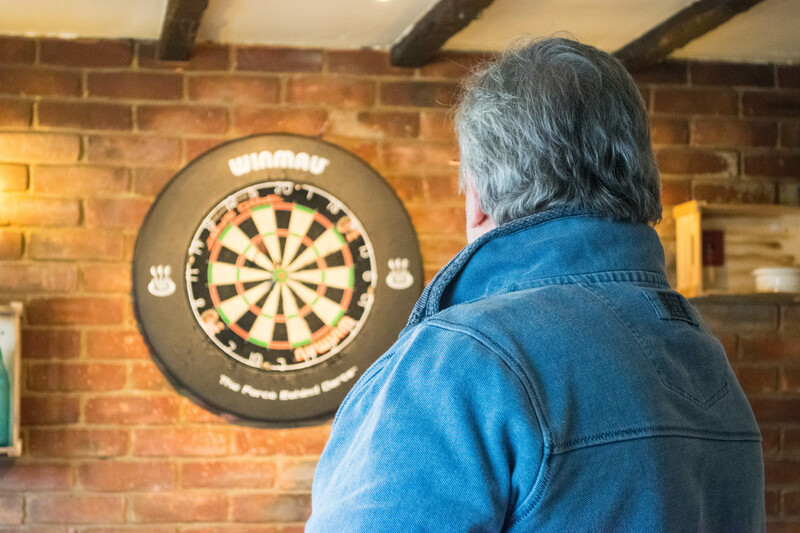 I’m rubbish at darts – I’ve left a fair few dents in the floor – but it’s fun to give it a go. 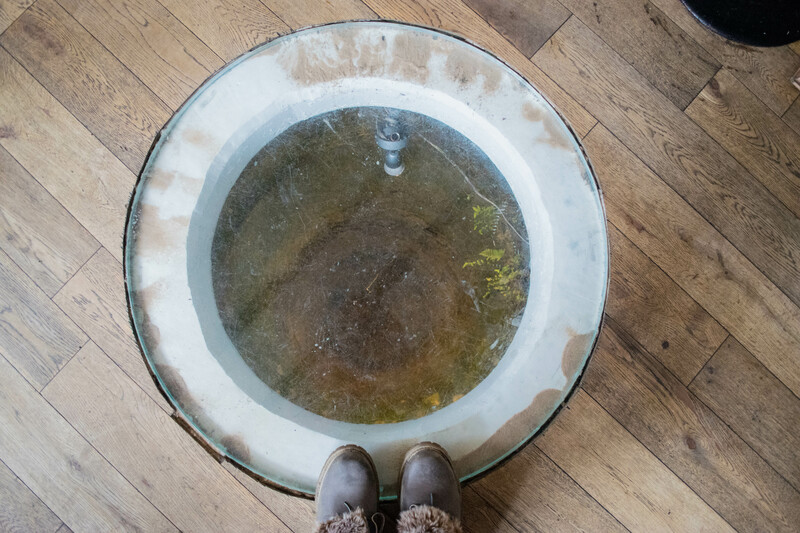 There’s also a cool glass-covered well in the floor – a little nerve-racking to stand on, but an interesting piece of the old village! 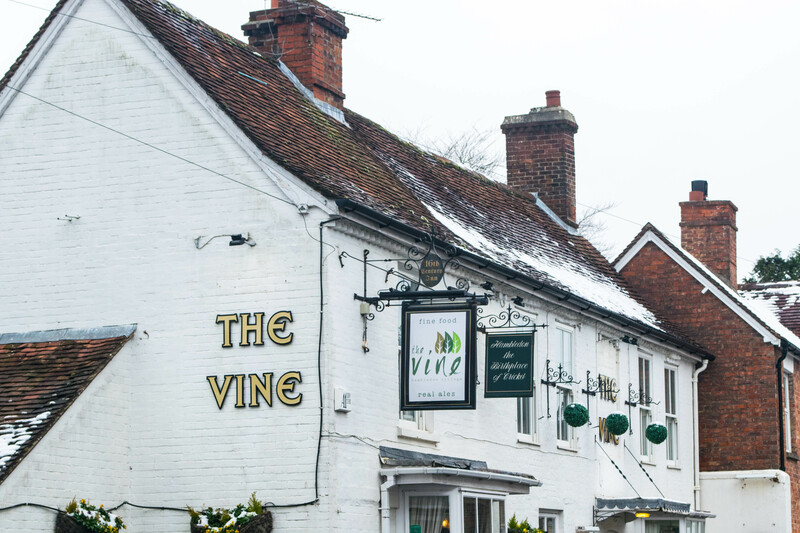 If you find yourself craving a truly scrumptious Sunday roast – or, in my opinion, the best roast ever – make sure to visit The Vine. 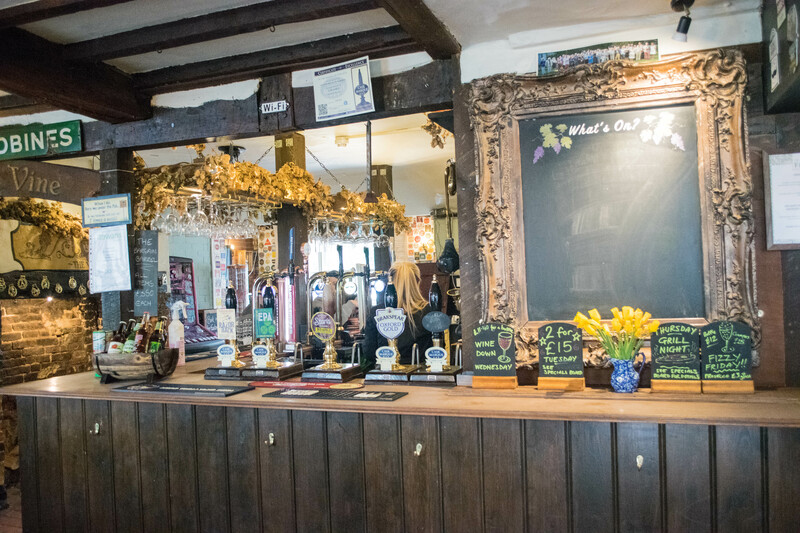 I’d recommend booking, it’s popular with the locals!